Home MMA News ONE Championship CEO Says He’d Never Sign Conor McGregor! ONE FC made some great steps during the last few months. Many former UFC competitors were signed. It all started with the former Lightweight champion Eddie Alvarez in October. Then the historical trade between Ben Askren and Demetrious Johnson. It continued with Sage Northcutt and the former UFC fighter and Hero’s 2006 Light Heavyweight Grand Prix winner Yoshihiro Akiyama. “No, I really wouldn’t (sign him). I don’t think he would do well out here in Asia based on the fact of some of the things that he did, already done,” proclaimed Chatri on The Ariel Helwani MMA Show. “The Notorious” blamed “greedy” Chatri Sityodtong for UFC Flyweight division downfall. 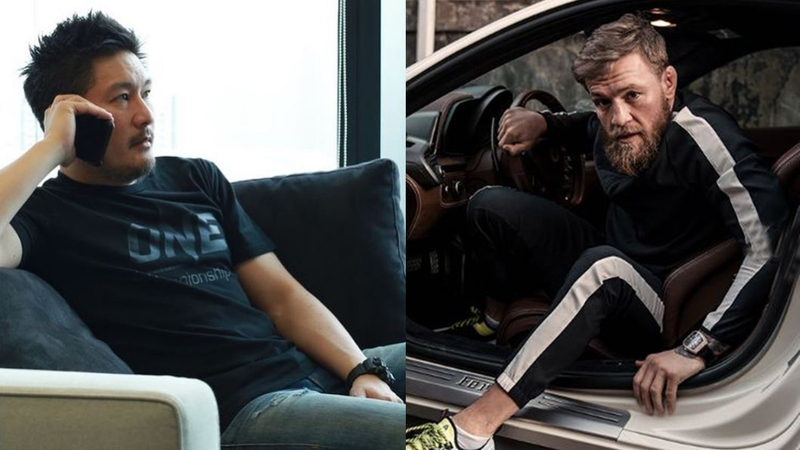 Yet, ONE Championship CEO has a very clear message for Conor McGregor. “I think Conor Mcgregor might want to go to business school to understand that it’s UFC division if they want to close it down. It has nothing to do with me, I only signed one athlete. That’s like saying I should shut down the welterweight division because Ben Askren left. It makes no sense,” he added. Thai promoter believes Conor McGregor was looking for a Twitter beef. Despite he has a lot of respect for “Mystic Mac”, Sityodtong sticks to his opinion. “I think he was doing it more to create a Twitter battle with me or something like that. I just didn’t engage. But I have a lot of respect for Conor and what he’s done, he’s just not a guy for us, One Championship or Asia, He’s just not the right guy,” he concluded. Conor McGregor has recently inked new UFC six-fight contract. It is hard to expect he will ever change promotion but you never know. Do you support Chatri Sityodtong? Next articleMirko Cro Cop Slated For Bellator Debut Versus Roy Nelson On February 16!